This small and durable plastic key tag slips on to any key ring with a reminder to pray and contemplate during the days of the Easter. Features a quote from John 11:25-26 on the back. 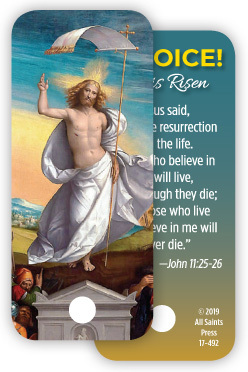 A great handout for the Eastertide season.